Judge Shiff served as a United States Bankruptcy Judge from 1981 until 2015. During his time on the bench, Judge Shiff presided over a wide variety of bankruptcy and commercial disputes, and conducted trials in hundreds of matters. In many cases, Judge Shiff mediated complex disputes among multiple parties. Judge Shiff was the recipient of the Honorable Robert C. Zampano Award for Excellence in Mediation on May 8, 2002. 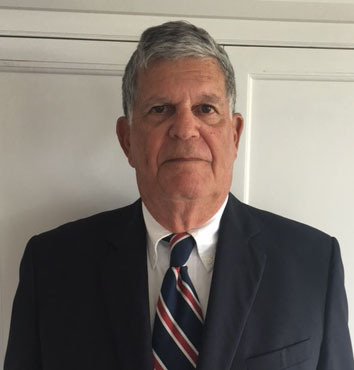 Judge Shiff has served on the Forms Task Force and on the Bankruptcy Judges Advisory Committee of the Administrative Office of the United Sates Courts (1991-1996). He was elected to serve as Second Circuit Governor of the National Conference of Bankruptcy Judges (1995-1998). Judge Shiff served on the Bankruptcy Appellate Panel for the Second Circuit (1996-2000) and he served as the Chief Judge for the United States Bankruptcy Court for the District of Connecticut (1996-2003). Judge Shiff was a member of a U.S. delegation to Pskov, Russia, where he gave a series of lectures on bankruptcy law and policy to the Russian American Rule of Law Consortium. He has also given lectures to colleges and universities, including the Yale University School of Management. Prior to his appointment, Judge Shiff was a member of the firm Shiff, Shiff & Schancupp. He was a member of the Board of Trustees of the Connecticut School for Boys and the Connecticut Planning Committee on Criminal Administration. He also served as Chairman of the Council of the Connecticut Department of Children and Youth Services and Special Counsel to the Connecticut General Assembly Joint Committee on Energy and Public Utilities. University of Virginia School of Law, LL.B.